In Illinois, many divorces result in the need to determine appropriate child support payments. Depending on the circumstances of a case, child support payments may be more expensive than a parent can afford. Conversely, those who do not receive financial help from their children’s other parent are left to cover the cost of childrearing alone. If either of these situations applies to you, it’s wise to contact a divorce lawyer in Peoria, IL. With years of experience in family law, the team at Brave Law Center, P.C. should be your choice for child support and maintenance issues. Although child support is much-needed financial assistance for single parents, income streams have the ability to change while the determined payment does not. For an individual experiencing day-to-day financial struggles, making timely child support payments can be difficult – if not impossible. When you need a child support agreement reviewed due to financial hardship or another factor, it’s important to turn to a divorce lawyer in Peoria, IL with experience in child support cases. A lack of child support payments is concerning for single parents because the rising costs of childcare can cripple a parent’s monthly income. 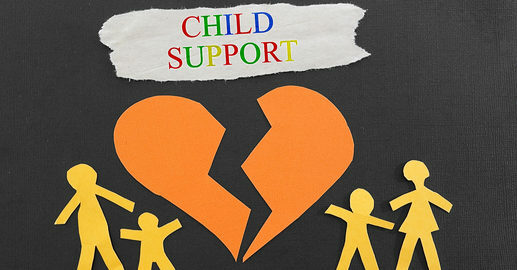 If you’re unable to support your children without child support payments, there may be legal options available to you. When searching for divorce lawyers in Peoria, IL, look no further than Brave Law Center, P.C. Whether you’re unable to make child support payments or haven’t received scheduled payments, don’t wait very long before meeting with a family law attorney. Brave Law Center, P.C.’s divorce lawyer in Peoria, IL is available to help immediately. Serving the Peoria, East Peoria, and Pekin, IL communities, our practice would like to provide you with legal assistance. If you’re in need of quality legal advice for child support issues, contact Brave Law Center, P.C. today.